Racing to School offers free Education Programmes to school pupils and students, delivered at racecourses, trainers’ yards and studs across Great Britain. Our practical, lively approach enriches a range of National Curriculum subjects, sparks interest in the sport of horseracing and opens minds to the many different career opportunities within the industry. The programme is aimed at those in Year 5 and above. 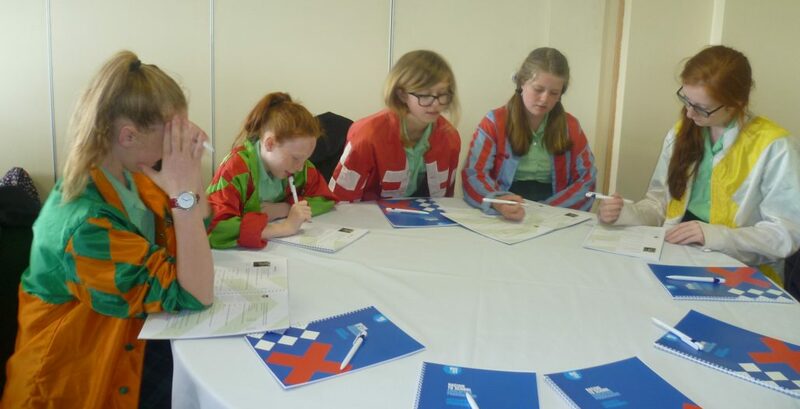 The context of racing offers many opportunities for exploring school subjects in a practical way. From weights and measurements and the handicapping system, to the geometry in the construction of fences, to the art and symmetry used in jockeys silks, to the science of jockey nutrition. These settings offer young people so many exciting ways of practising their school subjects and applying them to real life settings. The programme offers unique behind the scenes access, making the learning experience a special one which the young people want to engage in. Most pupils have never been racing prior to their Racing to School day so the experience catches their attention, inspires them to want to understand more and increases the likelihood of them absorbing and retaining what they have learnt.